The sun is the single most damaging thing for our skin. In this video, expert nutritionist and skincare guru Ginger Hodulik Downey, MS, CNS, urges people to wear sunscreen all of the time—every season regardless of weather—to avoid skin damage from UV rays. Specifically, she urges people to use a mineral sunscreen (as opposed to chemical sunscreens, which are potentially toxic and inflammatory). Mineral sunscreens made from titanium dioxide and zinc block the UV rays without these harmful side effects. 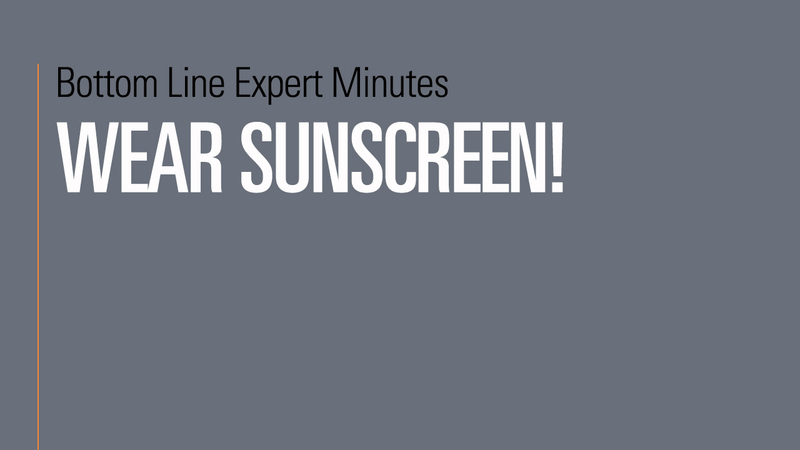 It also is important to use a broad-spectrum UVA and UVB sunscreen that protects from all of the sun’s harmful rays. Apply sunscreen daily, after moisturizer and before makeup.